John M. “Ivy” Ivanchan, Jr., 95, of Hopewell Twp., passed away peacefully on Monday, October 8, 2018 in UPMC Presbyterian Hospital after a valiant fight with a brief illness. 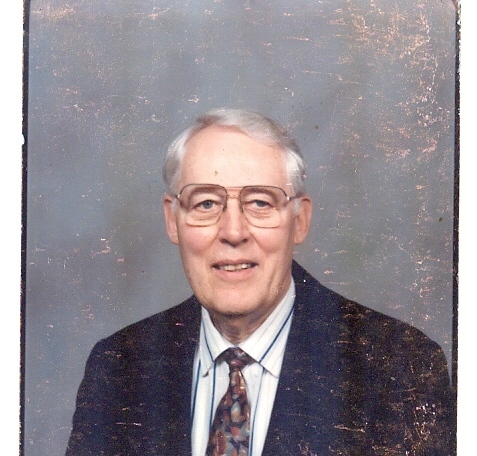 John was born in Ambridge on November 16, 1922 a son of the late John, Sr. and Amelia (Lenhart) Ivanchan. He was a life-long member of Our Lady of Fatima Parish. He was a retired steelworker employed by H.H. Robinson with 45 years of service. He was an Army veteran of WWII stationed in the south pacific theater and was present at both the Philippine and Japanese Liberation where he earned 4 bronze stars. He was honorably discharged in February 1946. John was an avid Steeler and sports fan who enjoyed golfing, reading, as well as participating in the many social and sporting activities of his children and grand children. In addition to his parents, John was preceded in death by a brother, George Ivanchan; and a sister, Marie Dehart. John was a loving father and grandfather, a devoted husband. He is survived by his wife of 63 years, Joan (McCue) Ivanchan; his children, John Glen Ivanchan; Karen Ivanchan-Johnson and her husband David; Keith Ivanchan and his wife Leslie; Kirk Ivanchan and his wife Debra; and Lisa Morrison and her husband Roger; his grandchildren, Travis; Brad; Chelsey; Taylor; and Alex. His brother, Edward Ivanchan; and his sister, Helen Perich. Friends will be received on Thursday from 5pm to 8pm in Darroch Cremation and Funeral Tributes, Inc. 2640 Mill Street, Aliquippa www.darrochfuneralhome.com where prayers will be offered on Friday at 10:30am followed by a Mass of Christian Burial at 11am in Our Lady of Fatima Catholic Church. The Beaver County Special Unit will meet at the cemetery on Friday at 12 noon to conduct full military honors.